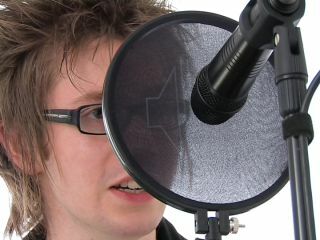 The singer's position in relation to the microphone will affect the sound you record. While it's possible to record almost everything you need using just software nowadays. The one thing you can't simulate (convincingly) is a singer. So most engineers need to know how to record vocals properly. If you're not used to miking a singer it can be a difficult to know where to start: what mic should you use? Where should the singer be in relation to the mic? Is there anything else you need? There are lots of variables to consider, but it's fairly simple to get a good sound. This video shows you how to mic a singer for recording. It covers positioning for different microphone types and gives you advice on how to get the best performance from your singer. If you want to know more about different microphone types then check MusicRadar's other recording basics lessons on dynamic mics, condenser mics and ribbon mics.